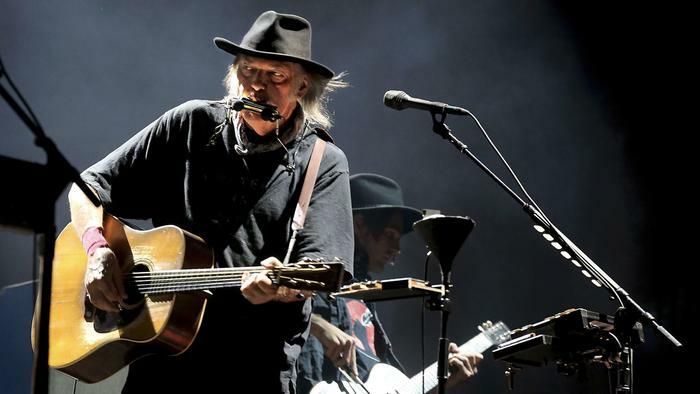 Neil Young's new album "Peace Trail" is due to be released on December 9, Friday. That couplet sparked a hearty chorus of cheers among women in the audience. “I gave up a lot of disciplines on this record,” he said. “There are several technical things about the poetry of writing this that are pretty sloppy. But it didn’t matter. So I feel good about that. I didn’t feel the need to go back and correct things. Full interview with Neil Young on "Peace Trail" from Los Angeles Times by Randy Lewis. Also, see more on Neil Young's new album "Peace Trail" . Peace trail is out in Italy and whole Europe I guess. My copy is waiting for me to pick her up tomorrow. U.S. release is tomorrow (Friday), not "next week"
We're looking forward to your reactions. I am really getting into the first three songs released on iTunes so far and I'm really pleasantly surprised. I'm a huge fan but the last three albums have left me a little cold. I always resist giving up on NY but it's tough sometimes. "My Pledge" especially I find really intriguing the way the speaks and sings over himself the entire song and yet it works and the story makes you really think. I really welcome the return of melody as well! I can't wait until tomorrow to hear the whole thing but I have to rant again about my biggest disappointment: the Album-Cover. It's bad enough that he proudly dashes out a record in two days and sells it for $30 when Radiohead spends a year or two on theirs to make it something special, but to just scrawl the title on a piece of trash and call that the album cover that people have to stare at for the next 30 years is unconscionable when there are thousands of starving artists that would KILL to design a brilliant cover for him for free that we could all enjoy. Or he's a multimillionaire: He could pay $1000 each for every submission and choose the one he liked the best and pay $10,000 for it and really have something. It's just insulting to his fans and to the album cover designers of the world to release such crap like he doesn't care about them at all. We love you Neil, how about a little something in return. The Guardian gets it right with two stars which is rather kind to this this poor lazy record. About Peace trail cover...I can see the point on artists even paying to have their name on a Neil album cover, but I believe he simply does not give a damn about it. He's into music and all the rest is irrilevant..